The recent Budget has generated further discussion about the property market although, this time, not in celebration that it was key in the political agenda but, instead, disappointment that it was barely mentioned. The introduction of a Lifetime ISA – to support demand for housing – brought some ray of hope but as most in the industry will lament, the Budget did little to support supply. And, with the latest LSL Land & New Homes Index reporting ongoing price increases for new builds, and parent company LSL Property Services reporting in its latest LSL / Acadata House Price Index (*) that existing property prices rose, on average, by £2,277 in February, it seems that, for some, the dream of buying a home could move yet further away. 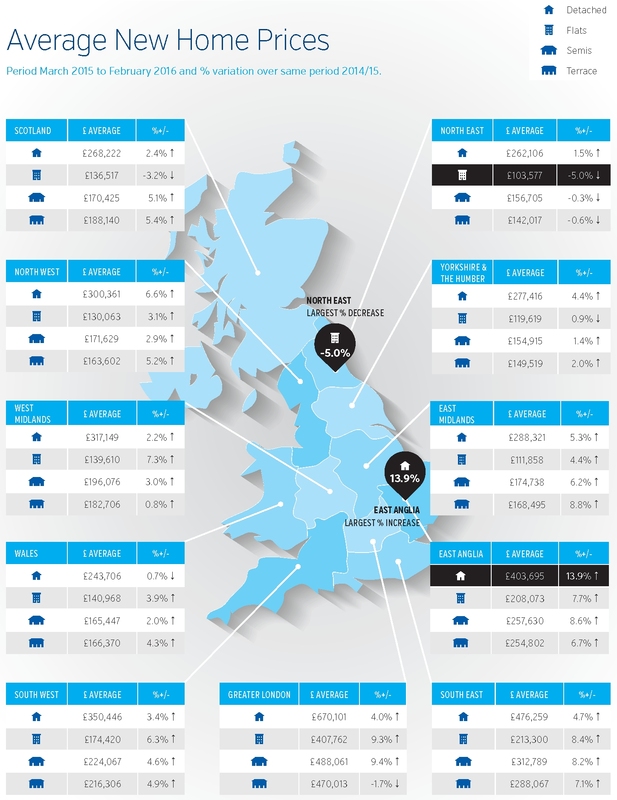 “In the year to the end of February 2016 new build prices rose, on average, by 6%, with all regions, apart from the North East, showing price growth in excess of 2%. Six regions have experienced growth of 5% or above and, in line with previous cycles, and with the exception of the North West, the growth is in the South of the country.